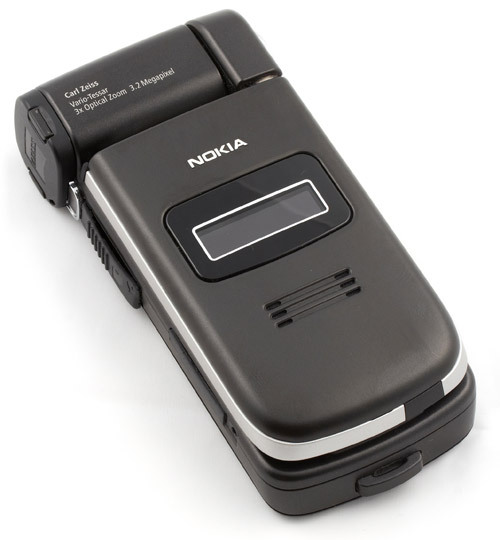 Nokia N93 is a landmark not only for the Finnish company, but also for the whole industry, to say the least of it. 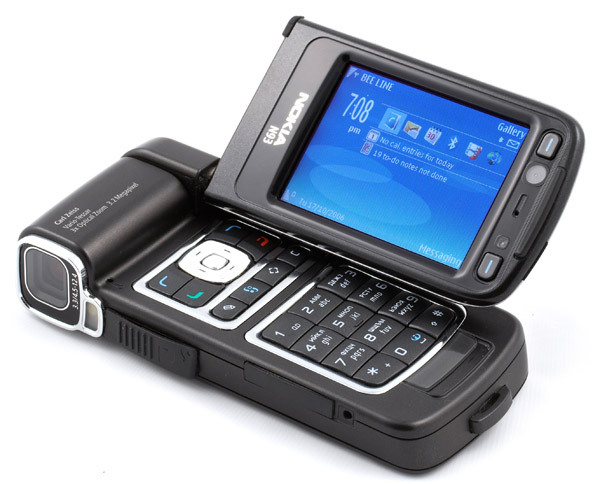 That's because it opens the epoch of new video recording functions in mobile handsets. 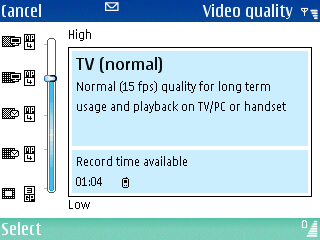 Of course, the option to record video appeared long before the Nokia N93, practically together with built-in cameras. 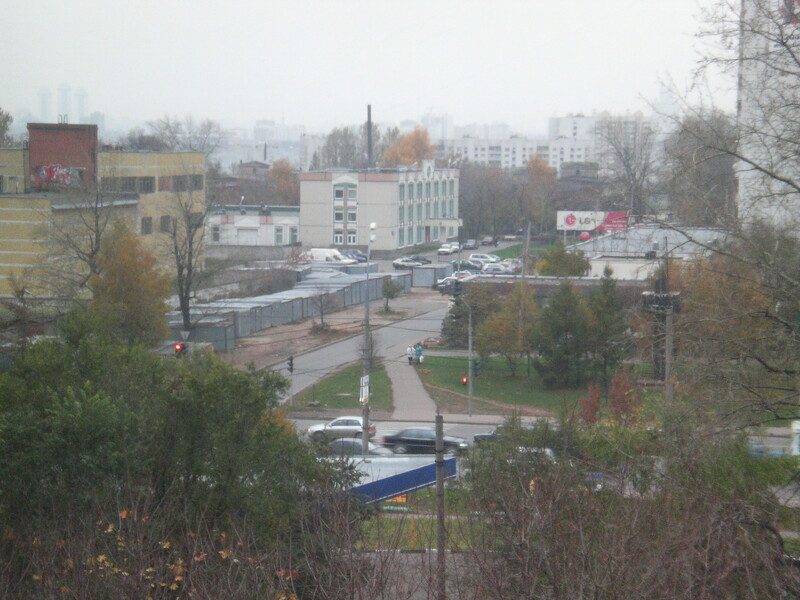 But the time moved on, cameras passed the VGA barrier, then the 1 Mp line, and now even 3 Mp do not seem strange. A good photo taken with a modern phone does not differ that much from a photo taken by a point-and-shoot camera (we speak about regular users, professionals will tell the difference at once). But what about video? It's a logical next step, required by users. Decent lenses, flash cards that can store several gigabytes of data - all is ready to go to the video level. But the manufacturers do not seem to be in a hurry. 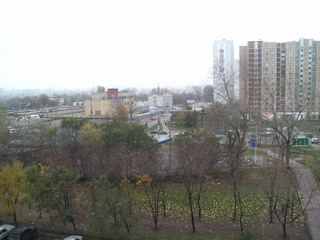 For example, Sony Ericsson K790i/K800i is an excellent device, it shoots 3 Mp photos of very good quality. But its video functions are still in embryo: ridiculous 176x144, 10 frames per second, you cannot possibly watch it without tears. The situation with other popular models is better, but not good enough. Manufacturers were most likely reluctant to improve video functions for the lack of competition. And now we have some ground to say that manufacturers will start the race not only for megapixels, but also for video quality. They will play right in the hands of us, consumers. But let's be consistent. The first thing, except the clam-shell design, that catches your eye is dimensions of this device. The phone is really large and heavy: it weighs 180 g, its dimensions are 118.2 x 55.5 x 28.2 mm. But you shouldn't be surprised: it's the first model with such features, it's intended for people, who'll appreciate solely its functions. 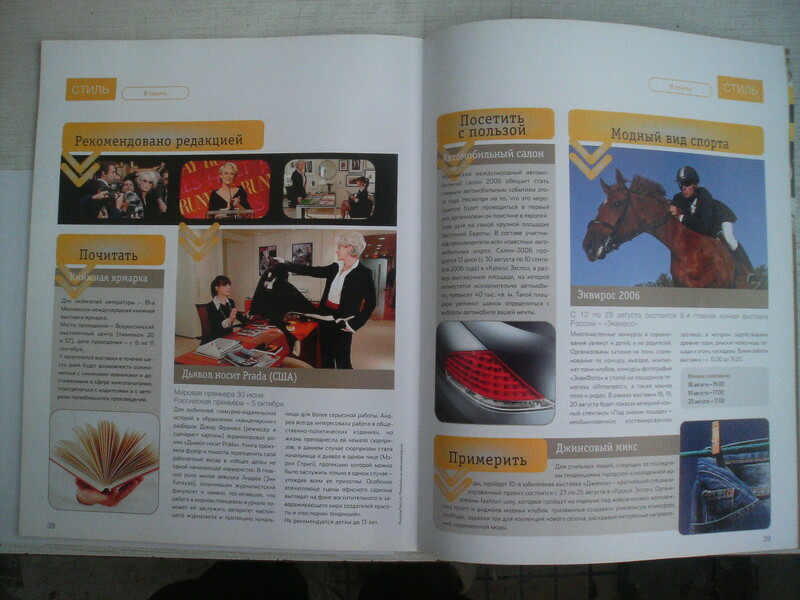 The primary 240 x 320 display supports 262144 colors, it fairs well under sunlight and offers very good angles of view. They are important for this model because of various phone modes with different positions of the display. Display is secured on a very interesting hinge, which provides four positions: closed, fully open (traditional for clam-shells), camera mode (you must swivel the screen through a right angle) and the viewing or gaming mode (display is near the keypad). We'll describe these modes later. 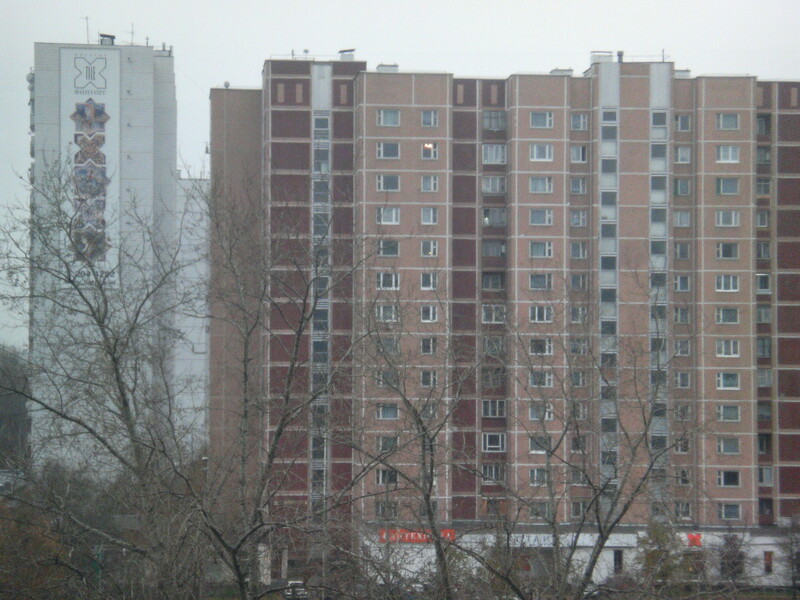 Let's examine the exterior at first. The keypad is divided into two parts, each of which has metal borders. The group of digit keys is below. Everything is clear about them. 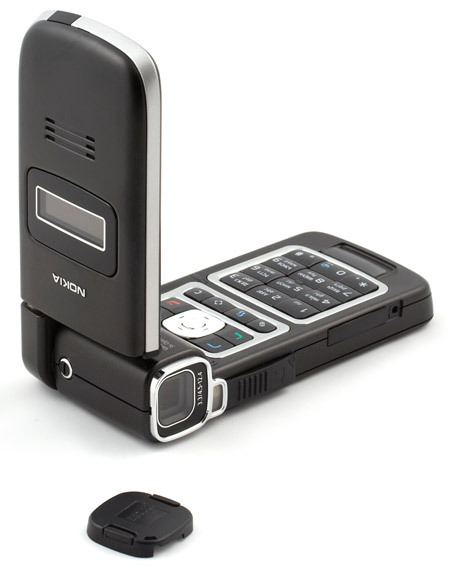 The upper group contains a metal button-joystick (there is no joystick as such — there is a button in the center, rimmed with four directions), with four soft buttons around it (standard Nokia buttons). Below are four functional keys (edit, menu, quick start, delete). The keypad layout is well thought-out, a number of accidental presses on the joystick is kept to minimum. There is a special recess under the keypad for the projection on the display. It's intended to avoid backlash and protect the attachment from breaking. 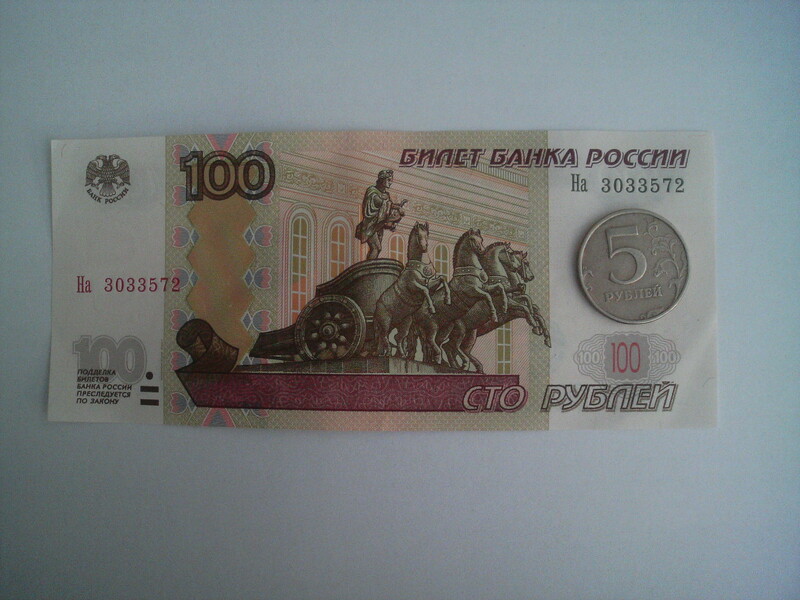 There are two soft keys, used in camera and view modes, speaker, secondary camera for video calls, and a LED above the display. The secondary display is on the cover of the phone - 1.1", 128 x 36, 65 536 colors, backlight. In idle mode it displays time, signal level, and battery charge. When the phone receives a call, it displays a name or phone number of a person who calls you. There is a speaker under the secondary display. 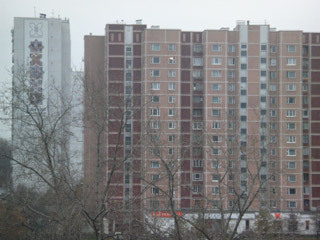 Top of the left side houses a lens, covered by a special lid. It should be mentioned that it's an inconvenient and impractical solution: even though this lid can be tied to the strap hole on the bottom of the device, you constantly have to open and close the lens manually and risk either to lose this lid or to suffer from an extra strap the length of the phone. Of course, the process makes a striking picture: swivel the display to the camera mode (the phone in this mode resembles a home camcorder), press the latches on the Zeiss lens cover, remove it, and start shooting — the entire process produces an impression. But this solution will soon start annoying you. Many users either lose this lid or deliberately remove it forever — as a result, the lens will not be protected. Why couldn't Nokia design some sliding mechanism? The phone is equipped with Carl Zeiss Vario-Tessar lens, focal distance - 4.5 mm (wide angle) /12.4 mm (tele), 34.25—94.1 mm (35mm camera equivalent), focusing distance – from 10 cm to infinity, macro focus distance – 30 cm (wide angle macro), mechanical shutter - 1/2400~1/3 sec. CMOS sensor, 3.2 Mp (2048 x 1536). There is a LED under the lens to illuminate target objects, there is no xenon flash. There is a miniSD slot below, which supports up to 2 GB. The bundle includes a 128 MB card. There is a connector below for various accessories and a data cable. The charger connector is on the bottom. Let's examine the right side of the phone. The shutter release is opposite to the lens. Traditionally, a semi-press focuses the camera, full press takes a photo. 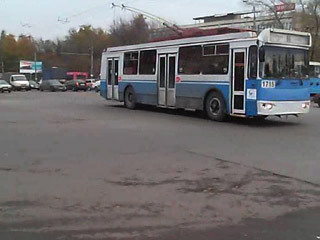 Semi-press is not used in video mode at all. A semi-press on this button in idle mode activates backlight in the secondary display. A full press switches it to another mode - to display the current date and week day. There is a zoom ring around the lens, which is also a traditional element in point-and-shoot cameras as well as in home camcorders. There is a secondary joystick below: in camera mode, the OK button and four directional buttons around it do not work; you'll have to use the additional joystick. It's rather small, your finger gets strained fast and a number of accidental presses is rather high; but it's in a convenient place — you don't have to stretch out. 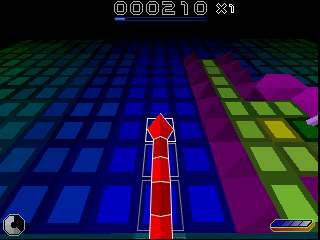 You can use the secondary joystick in the main mode, of course: it may be more convenient for some users. 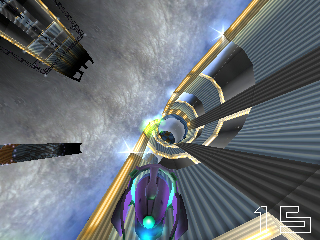 Camera mode buttons (photo or video) and the flash button are placed under the joystick. The latter is very useful — it turns on the flashlight, which has three modes: when you press the button once, it's turned on for two seconds; when you press and hold it, it works as long as you keep the button pressed; a double-press enables the flashlight for several minutes (a single press on the button will turn it off). The flashlight is at the side instead of the rear panel, like in most phones. So it's convenient to hold the phone, when you use the flash. The top contains only one button (that's the right decision) to turn the phone on/off. A short press on this button locks the keypad, the entire phone, and switches the phone to another profile. 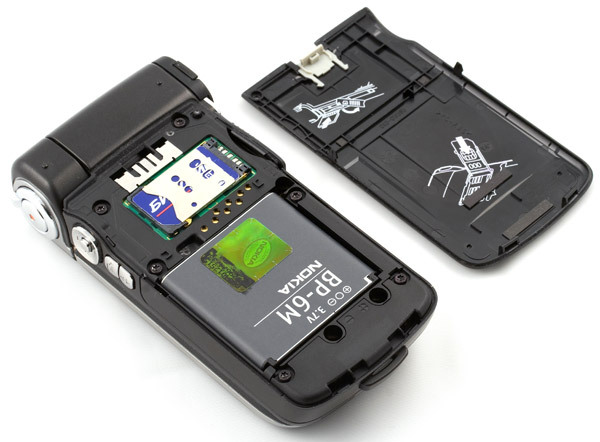 The battery and the slot for a SIM card are located under the battery cover. If you remove the latter, when the phone is still working, it will automatically turn off. The latch does not scratch the SIM card. 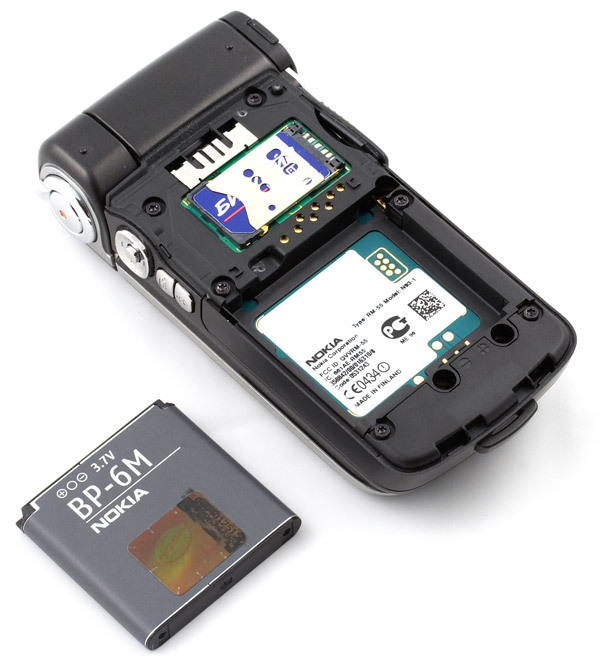 The phone uses the BP-6M battery, 970 mAh. It's not very convenient to hold the phone during a call: the lens does not allow to press the phone to your ear, and phone is too large to round your face. As a result, when you speak over the phone, it touches your face only in two points: the bulge on the display (near the speaker) touches your ear, and the lens housing presses into your cheek. Not a very pleasant feeling, though you'll get used to it. Fortunately, the mike is placed above the keypad, not under it, like in most models. So ergonomic flaws have no effect on the audio quality — you will here your interlocutor well and vice versa. When closed, the phone lies steady on a table, there are no interfering bulges, it does not sway. But when you open the phone, the bulge near the hinge makes the phone unsteady - the phone rocks when you press the buttons. But there is a solution to this problem: If you work with the phone lying on a table, you'd better open it in the view mode: it will lie horizontally and will remain steady. We shall not describe each menu item this time (the menu contains 24 items in total), you will hardly find it interesting. 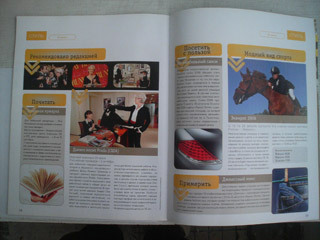 Functions of the organizer, e-mail, and address book are on a decent level. They meet all modern requirements. Besides, the phone offers some interesting features, which we are going to review here. 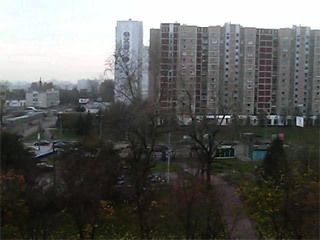 You can connect the phone to a TV-set: just plug the Nokia CA-64U video cable to the phone, choose TV Out in the menu, select a standard (PAL NTSC) and aspect ratio (4:3 or 16:9), then the image on the display will be also shown on a TV-set: you can browse photos, videos, and play games on a large screen. It's quite a useful and timely function: old phones did not need this function; but now sterling video features profit from playing back your video on a large display. 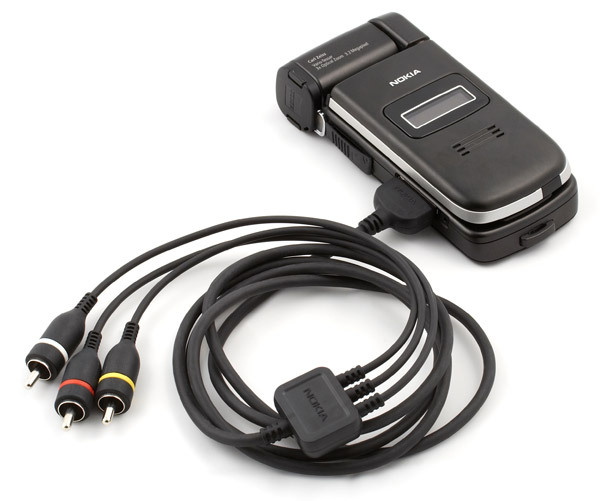 From left to right: Nokia CP-84 strap, Nokia CA-44 power adapter, Nokia HS-23 headset, Nokia CA-53 data cable, Nokia CA-64U video cable. All these accessories are included into the standard bundle. 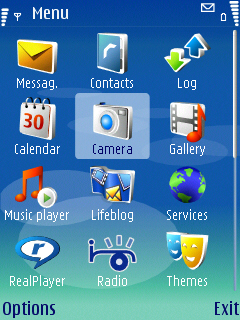 The phone has three preinstalled 3D games: Snakes and SRE. The first one is an unusual snake game. You traditionally swallow various bonuses growing in length. But you are to do it in three dimensions instead of the traditional two. Game levels are designed well. Snakes is really addictive. The SRE game stands for System Rush Evolution. It just demonstrates 3D features of the phone, it's not intended for multiple hours of gameplay. You navigate a starship in a tunnel. 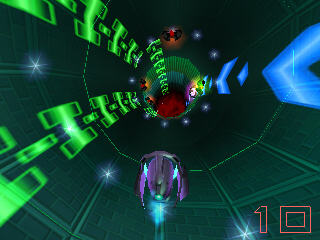 Your objective is to catch an escaping starship, collecting bonuses and avoiding enemy attacks. It's a dynamic beautiful game. We are confused by the limit of a voice recorder: maximum length is just one minute, which is good for nothing these days. So, as soon as you swivel the display to a proper position, the phone automatically switches into the camera mode. There are two options, actually: photo and video. You can switch between these modes from the menu or using a corresponding button on the right side of the phone. It takes 3-4 seconds to take the first shot from the moment you swivel the display to the camera position. 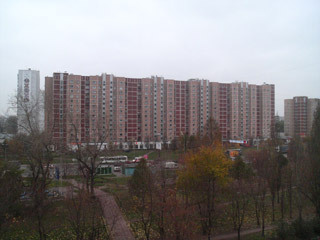 Let's start with photo. The phone has six photo modes: automatic, user, close-up mode, landscape, night, and night portrait. You can also adjust white balance (automatic, sunny, cloudy, incandescent, fluorescent), exposure (-2, -1, 0, 1, 2), and color scheme (normal, sepia, black & white, negative). There are four image quality levels (3 MP, 2 Mp, 1.3 Mp, 0.3 Mp). It hardly makes sense to take photos below 3 Mp. Only if you want to use your flash card sparingly. There is no focusing in macro mode, so most photos are blurry. Hence the recommendation not to use it at all. Just switch into the main camera mode (the photos published are taken in this mode). And now let's proceed to video settings. 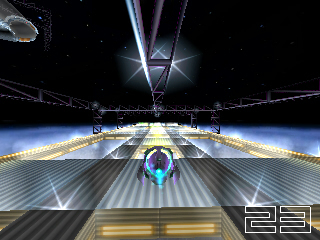 There are much fewer of them: only two camera modes (automatic and night), white balance, and color schemes, just like in photo mode. Sharing — 176x144, 15 frames per second, about 90 Kbit/sec, video length is limited to 33 seconds. You'd better avoid using normal modes (15 fps), you'll get nasty lugs at playback. Sharing is intended for sending video from a mobile handset (for example, via MMS), it's practically useless to watch it on a large display. 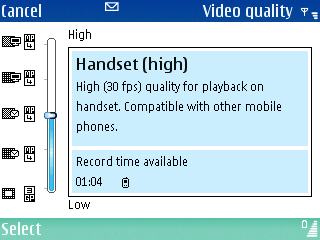 But Handset (high) can come in handy due to its compact video size (four times as smaller). It will be a real saver for people with miniSD card of low capacity. Besides, it offers good video quality (but we should note occasional lugs when recording with maximum quality, especially when the image abruptly changes — the processor seems not to cope with encoding video. 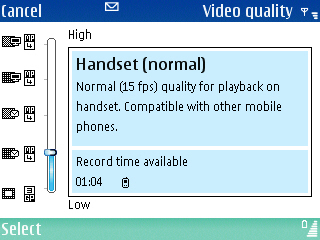 But we haven't noticed such problems in Handset (high) mode). But if you plan on actively using the video feature (that's certainly true, or why should you buy this phone? ), you'd better buy a memory card of maximum capacity — 2 GB. The fact is, the phone does not compress video very much (encoding requires considerable processing resources, still insufficient in phones, especially as video should be encoded in real time). Video bitrate is about 3 Mbit/sec, that is a minute of video takes up about 20 MB. We can estimate that 50 MB of memory will not be enough even for two minutes of video, and the bundled memory card (128 MB) is good for six minutes. 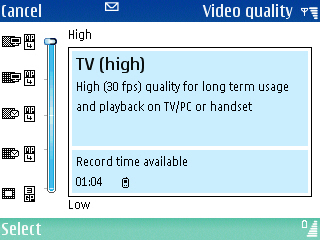 But if you buy a card of maximum capacity, you will be able to capture an hour and a half of video with maximum quality. 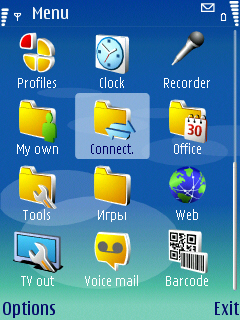 The phone records audio in stereo mode. Besides, mikes are not close to each other, but at opposite sides of the lens (under it), so stereo support is implemented well. You can use optical 3x zoom, when you capture video. But as the mikes are placed close to the lens, all its movements are rather loud. These clicks will hardly produce a nice impression during playback, especially if the video was recorded in a quiet room, when mikes are getting more sensitive. And don't forget that the closer is the object, the stronger will be the effect of your shaking hands on the picture. So try to avoid zoom, if possible. Don't forget that it will take much time to transfer a video file via Bluetooth, so you should either connect the phone to a computer with a cable or use a card reader. In order to avoid inaccuracy (the difference between iterations may reach 10%, though the usual difference is 2%-3%), we ran the same test five times (no applications running in the background, disabled wireless interfaces, including Bluetooth). So the table contains mean results. In future, when we gather more reviews of phones, tested according to this procedure, we'll have an opportunity to compare different models. You can compare our results with those published on the web site of the benchmark developer. Key results are marked. Drawing a bottom line, we can repeat that it's a landmark model. The market has made another turn in competition, it must please any consumer. This phone is an outstanding model - unique video features for the present (and in the nearest months) and a well thought-out display hinge to use the device in various modes. It will not do for most users due to its large dimensions. It will hardly be a hit. But it will certainly please those people who love to be on the edge. 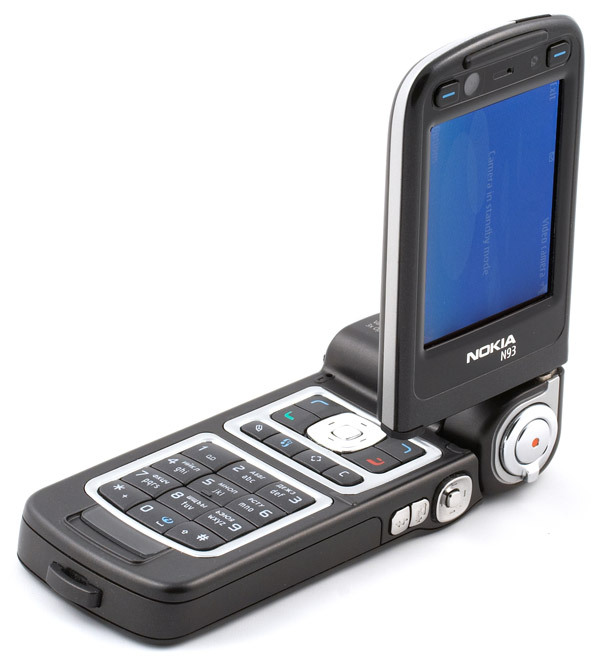 Having launched the N93, Nokia again proved the worth of its way-out approach and accentuated its image.